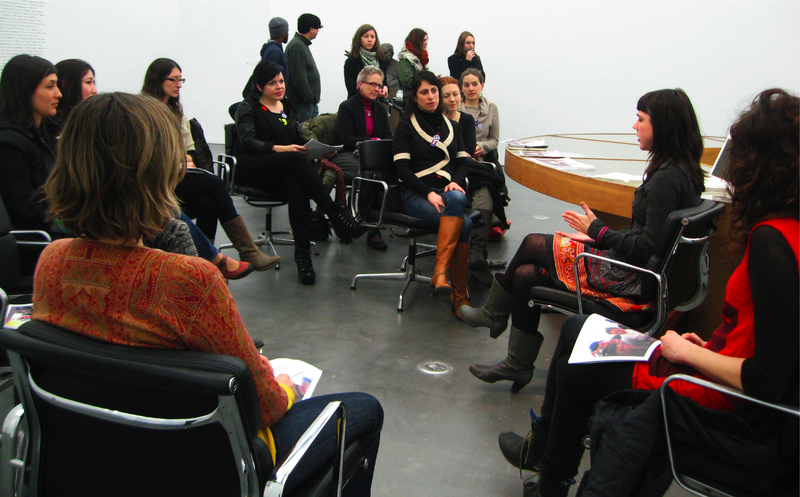 Initiated by LWD member Eve Fineman we were given the opportunity to hold a LWD meeting in the Goshka Macuga installation at the MCA. For the topic of the meeting, we invited member Jamie Hayes to give a presentation on her recent trip to Yunnan, China to work on a fair trade line of accessories and housewares. Jamie discussed the fair trade model of production, fair trade in rural China at the Threads of Yunnan organization, as well as the process of designing a line for Threads of Yunnan. After her presentation she lead the conversation on design, sustainability and ethics! We plan on hosting more discussions like this in the future and this was a great start.